REXBURG, SUGAR CITY, ID. 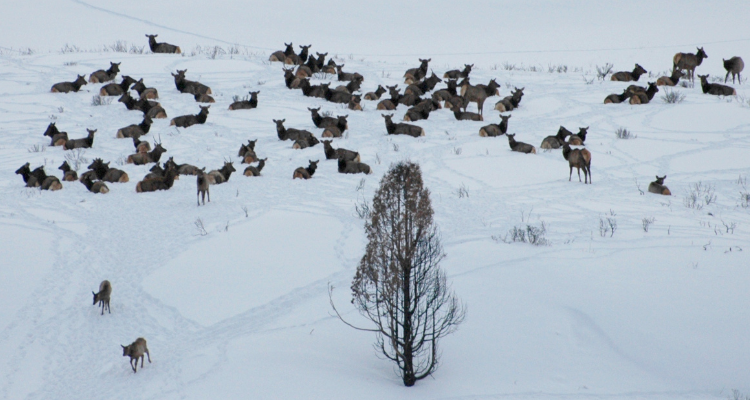 | By JAMES BROWER – On Feb. 4 a herd of about 100 elk wandered into a rural area between Sugar City and Rexburg. The elk have been easily sighted from both Highway 20 and Highway 33 and are a cause for concern to passing motorists. Madison County Sherriff’s office and Idaho Fish and Game are aware of the situation and are monitoring the herd closely.